Malcolm F. Barlow has served clients in the Manchester area since 1978, with an emphasis on probate, wills, estates, contracts, and personal injury situations. Born and raised in Manchester, he attended public schools here, and then the University of Connecticut and the University of Connecticut School of Law. He and his wife, Susan Cronin Barlow, have raised their children here. Attorney Barlow has taught workshops on Medicaid and estate planning, will contests, and Elderlaw care agreements. 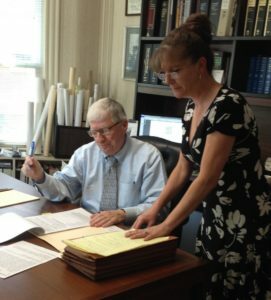 Over the years, he served as Manchester’s Assistant Town Attorney, member of Manchester’s Board of Education, legal counsel to the Housing Authority of the Town of Manchester, and, since 2004, President of the Manchester Land Conservation Trust. He is committed to the local community, and enjoys serving its legal needs.